What Is Foreign Video Tape Conversion ? The majority of the world uses TV standards that are different and incompatible with the US TV standard (NTSC). Therefore, foreign video recordings cannot be played on US equipment, or even displayed on US standard TV sets. As part of our video transfer services at RMAVP, we can also digitally convert your foreign video's to to our North American NTSC Standard. With our digital standards conversion services, we can make a complex task super easy for you -- just send us your master tape and we'll do the rest! HDCam, Betacam, Betacam SP, Betacam SX, IMX, Digtal Betacam, 3/4" Umatic, HDV (1080i type 2), DVCam, Mini DV, 8mm video, Hi 8mm video, SVHS, VHS, C-VHS, DVD, and most any digital file formats. What is the Video Conversion Process? We'll take your master video tape and play it on a compatible deck. This signal is then sent to a "Standards Converter" where the video signal is reassembled to the video format that we want to convert to. Sounds simple, but is a rather complex process. We can convert videos to (or from) NTSC, PAL, or SECAM. Why are There Different Video Standards? Here's a little history why there are different video standards around the world. In 1953 the US was the first country to widely implement the first color TV broadcast system based on the NTSC standard (National Television System Committee). Currently, NTSC standard is used in the US and in most countries of the Western Hemisphere as well as Japan and some other countries of Asia. The frame rate (number of times the screen is redrawn in a second) is 29.97 frames per second with 525 lines/frame. Later in the 50’s and early 60’s the PAL standard (Phase Alternating Line) was adopted by most European countries, except for France, which uses the SECAM standard (the French acronym for Sequential Color with Memory). Having a wider channel bandwidth, this standard allows for better picture quality than NTSC. Both PAL and SECAM have frame rates of 25 frames per second with 625 lines/frame. With PAL and SECAM having different frame rates and lines per frame, when recorded to tape the video speed is slower in PAL and SECAM than in NTSC. Please see the diagram below. Brazil uses a TV broadcast standard called M-PAL, which is a hybrid of NTSC (for luminance information) and PAL (for chrominance information). Argentina, Paraguay and Uruguay use N-PAL, which is a modified version of PAL (with narrower bandwidth). Most former Soviet-block countries and by many countries in the Middle East use MESECAM, which is partially compatible with SECAM. 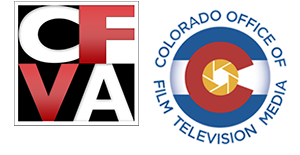 Simply put, digitally converts video from one video standard from which it was broadcast or recorded in, to a different video standard. To accurately convert video to the desired standard, the standards converter (also called scan converter) eliminates superfluous frames and lines or “makes up” and inserts the “missing” ones. The output represents interpolated frames based on comparison of individual input frames. The NTSC format plays video tape at a higher speed (2.0 meters/minute) versus PAL and SECAM format (1.42 meters/minute). A blank NTSC tape will allow for longer recording times if recorded in PAL or SECAM. Conversely a blank PAL/SECAM tapes will appear too short when recorded in NTSC. 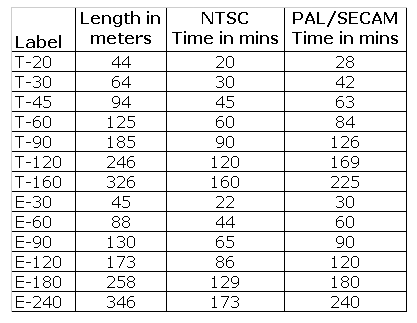 This table compares recording times in NTSC and PAL, SECAM formats. Some TV Stations in Eastern European countries have started broadcasting in the PAL standard, since the Berlin Wall came down. 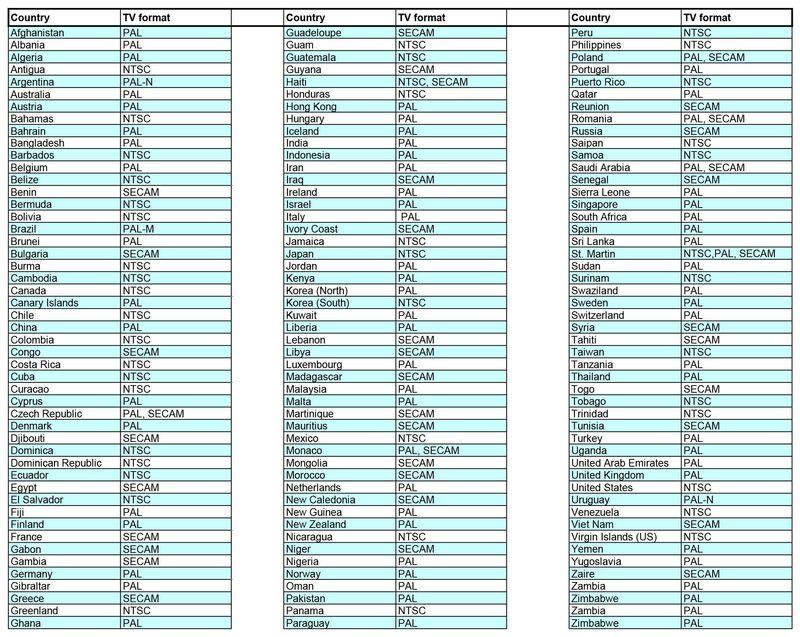 Therefore, some of the countries listed in the SECAM/MESECAM column may also have PAL broadcasting standard. However, since practically all video players sold in those countries can read both PAL and SECAM/MESECAM video, choosing the right standard isn’t a problem when sending videos for use in these countries.